Our Superheroes in the Community Inquiry is drawing to an end. We've learnt a lot and had some really interesting visitors. 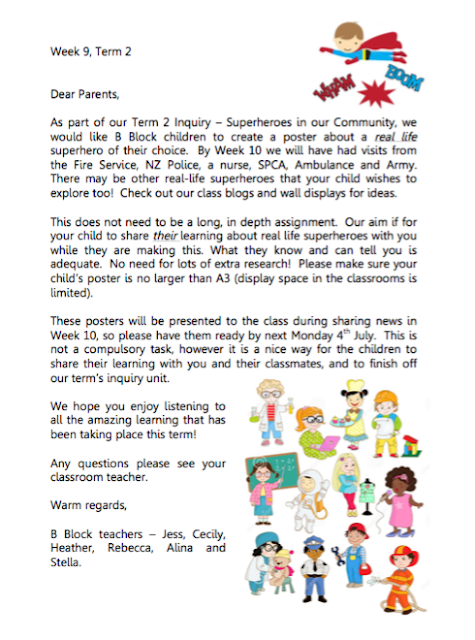 Today a notice has been sent home about an optional project the students are excited about doing ... presenting a poster to share their learning about their chosen everyday superhero.